NZDUSD is chiefly under the influence of Fed rate-hike by the end of 2016. 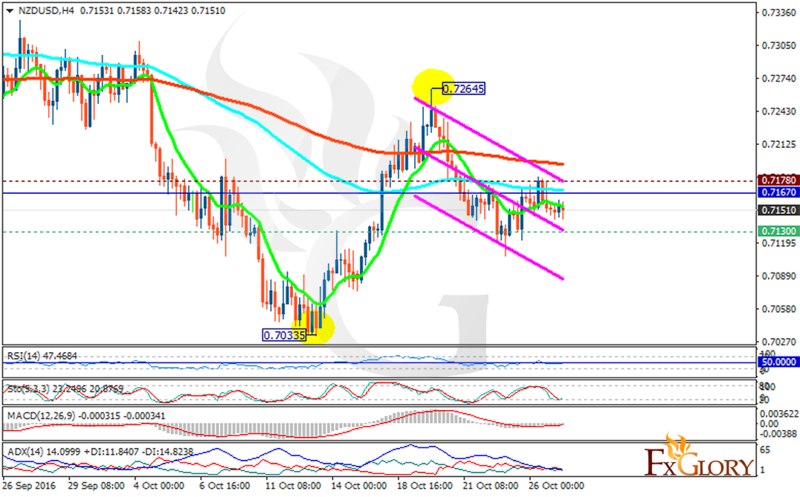 The support rests in 0.71300 with resistance at 0.71780 which the weekly pivot point at 0.71670 is located in between the lines. The EMA of 10 is moving horizontally and it is located below the EMA of 100 and the EMA of 200. The RSI is moving horizontally on the 50 level, the MACD indicator is in neutral territory heading up and the Stochastic is moving in its minimum rate. The ADX is not showing any clear signal. Short positions are recommended targeting 0.7080.